Just in time for Christmas: a fruitcake themed edition of "Marking Time"! 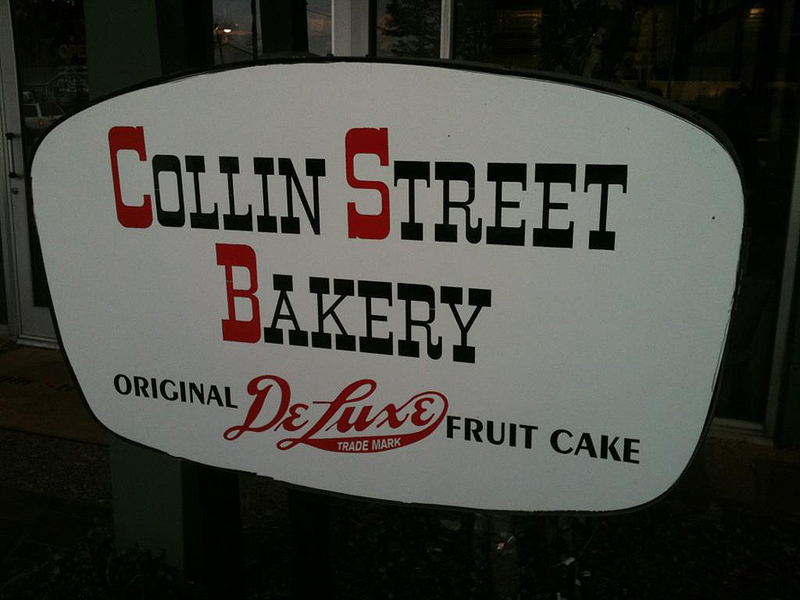 The Collin Street Bakery in 1896 in Corsicana, TX and is known all over the world for their famous fruitcake! 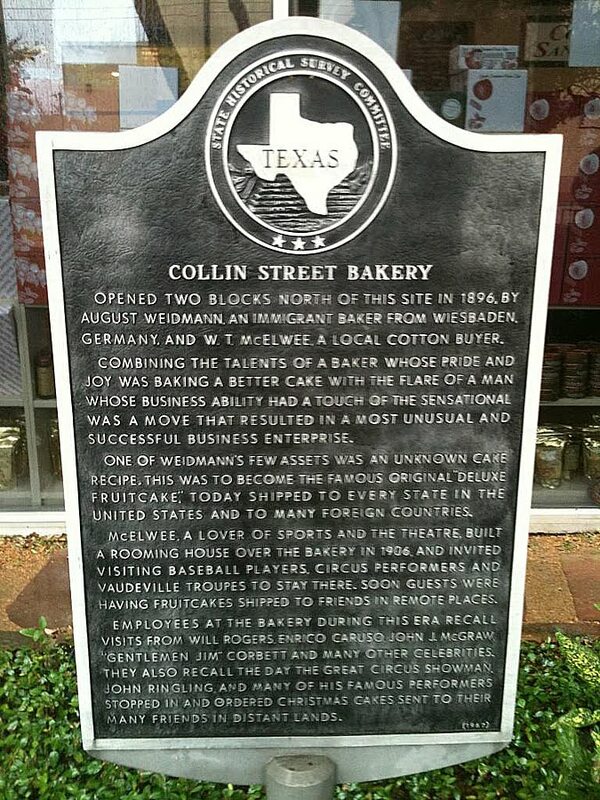 Opened two blocks north of this site in 1896, by August Weidmann, an immigrant baker from Wiesbaden, Germany, and W. T. McElwee, a local cotton buyer. 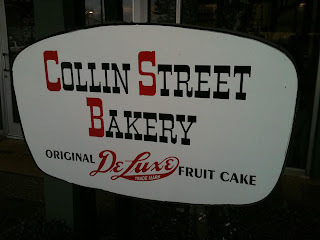 Combining the talents of a baker whose pride and joy was baking a better cake with the flare of a man whose business ability had a touch of the sensational was a move that resulted in a most unusual and successful business enterprise. 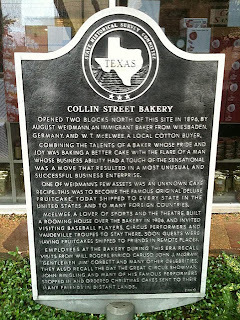 One of Weidmann's few assets was an unknown cake recipe. This was to become the famous original "deluxe fruitcake," today shipped to every state in the United States and to many foreign countries. McElwee, a lover of sports and the theatre, built a rooming house over the bakery in 1906, and invited visiting baseball players, circus performers and vaudeville troupes to stay there. 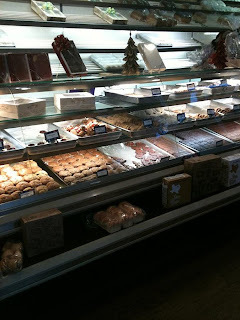 Soon guests were having fruitcakes shipped to friends in remote places. Employees at the bakery during this era recall visits from Will Rogers, Enrico Caruso, John J. McGraw, "Gentlemen Jim" Corbett and many other celebrities. 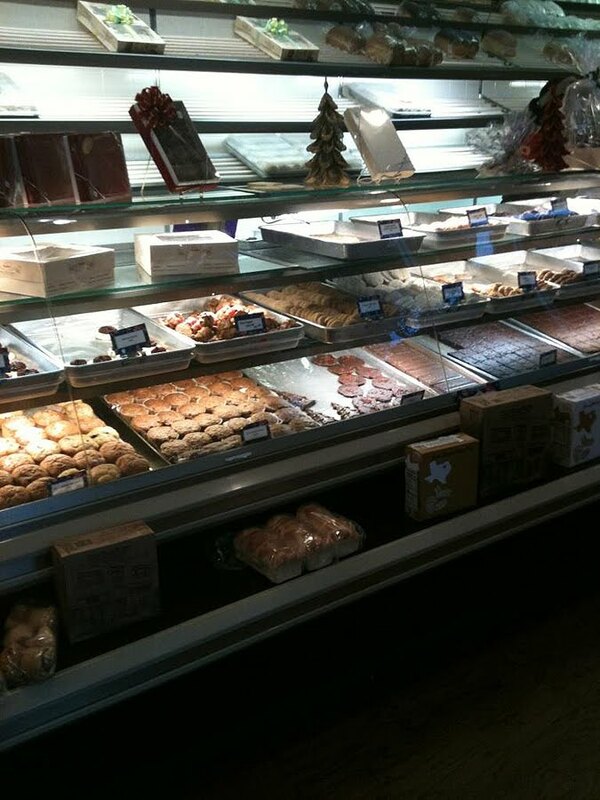 They also recall the day the great circus showman, John Ringling, and many of his famous performers stopped in an ordered Christmas cakes sent to their many friends in distant lands. So there you have it! Merry Christmas!